When you visit Yunnan, China, make sure to try the region's signature dish - Over the Bridge Noodles. Not only is this soupy entree a local favorite in Kunming and around Yunnan, it is listed as one of Yunnan's famous "18 Oddities"! This wonderful do-it-yourself dish is simple yet filling. First, add pepper, flavoring spices, and hot chicken broth to a large bowl, and then pour a thin layer of chicken oil over top of it all. Next, add whatever items you would like to the soup, such as pork slices, thin-sliced seafood, vegetables, other sliced meat, or even something more exotic! Lastly, use your chopsticks to stir until these are well cooked and then throw in some thin rice noodles to finish out the dish. So how did such an unassuming dish rise to such prominence that across the whole of China it is now strongly associated with Yunnan province ? Legend has it that more than 100 years ago, this dish was concocted by a scholar's wife in Yunnan during the Ming dynasty, when she discovered that the meals she had been bringing her husband while he studied were growing cold before he ate them. At that time, the scholar had isolated himself in a quiet cottage on an islet because the environment was conducive for reading and studying for his momentous upcoming imperial exam. 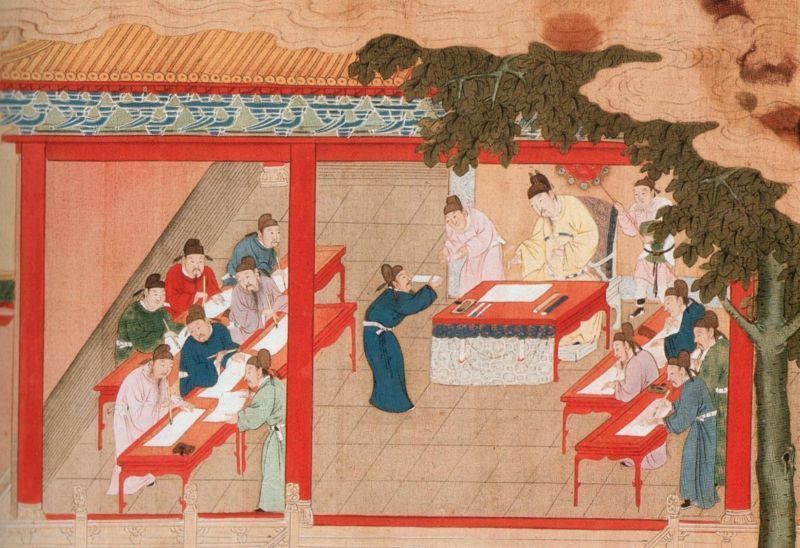 His loving wife traveled daily out to his isolated outpost to bring him meals, but often the scholar was so engaged in his studies that he forget to eat until the dishes had cooled. By the time he got around to eating, the meal was often tepid and unappetizing, and the scholar would choose to skip it altogether, causing him to get thinner and thinner! His wife became quite worried about the situation, so one day she cooked a whole fat chicken in a pot for him. After some time, she came back by to see whether he had finished the meal - to her surprise, the chicken broth was still warm! The oil layer on the surface from the fatty chicken had maintained the temperature and given her a solution to the problem. 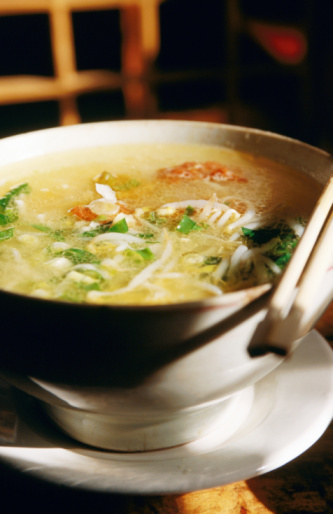 From then on, the scholar's wife prepared soup the same way for her husband - broth and rice noodles were put into a pot beforehand and carried over the bridge to where her husband sat studying, and then the rest of the ingredients were added and cooked in the hot broth. The popularity of the dish spread, especially to the locals who worked in the fields during the day and did not have time to return home to make a hot lunch. Soon, everyone was calling the dish "over the bridge noodles" in honor of its creator's inspiration. With summer just around the corner, consider a trip to China - grab the train to Yunnan and kill two birds with one stone: amazing China train travel and a chance to try authentic "over the bridge noodles" right in Yunnan!